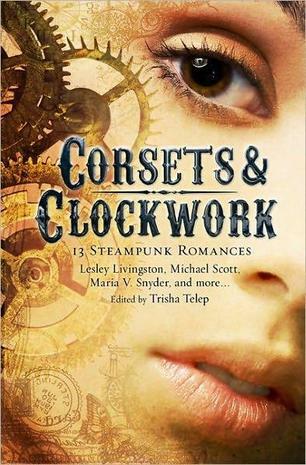 In editor Trisha Telep’s collection Corsets & Clockwork: 13 Steampunk Romances (Running Press, May), authors such as Caitlin Kittredge, Dia Reeves, Kiersten White, and Adrienne Kress write the steamier side of steampunk, where “technomagical and natural desires collide.” This naturally means lots of flirting and first kisses (with gorgeous automatons or gentlemen criminals, aboard airships, or after narrowly escaping mad inventors); it also entails deeper ethical concerns about technology, progress, and humanity’s impact on nature. Don’t miss contributor Dru Pagliassotti’s excellent essay “How Do I Write a Steampunk Story?” at Steamed!. >Are these squarely 14 and up? 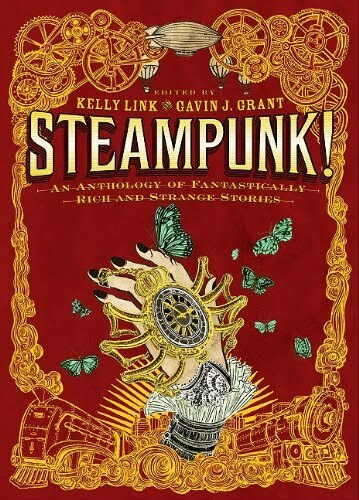 I have an 11 year old steampunk fanatic franctic for more reading matter. >Ann, the books in the intermediate (grades 4-6) section would all be great for this age. I think The Girl Who Circumnavigated Fairyland in a Ship of Her Own Making and the Flora Segunda books (listed in the 7th grade and up section) and Sky Sailors (in the nonfiction) would work well too.